Congratulations to Donald Craig…. 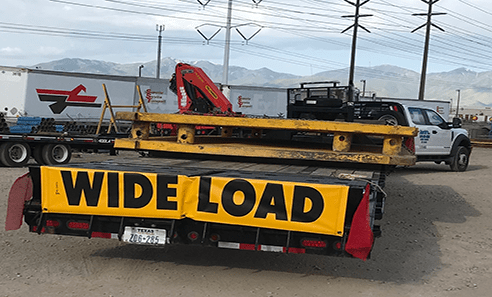 The May 2018 SafeTruck Oversize Load Contest Winner! Congratulations Donald Craig for being our May 2018 SafeTruck Contest Winner! Mr. Craig used our Vinyl Wide/Oversize Load Banners and our Wire Looped Red Jersey Flags along with our magnets. 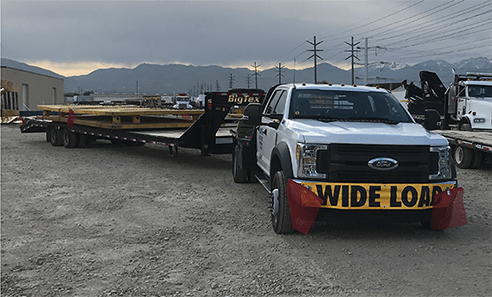 Mr. Craig hauled Metal Trenches from Salt Lake City, UT to Sacramento, CA with his Commercial Ford Truck. This haul was 2,000lbs. shy of the truck’s max hauling weight making the total weight 19,000lbs. and measuring at 15’ L x 12’ W x 5’ H. He wanted to mention that he loves our SafeTruck Products and that they never give him trouble or get destroyed on his many trips. Mr. Craig picks up his SafeTruck items from Greener’s Truck Supply in his hometown Burley, ID making it easy for him to gear up before long trips. Congratulations to Donald Craig! Thank you for sharing your successful heavy haul trip utilizing SafeTruck Oversize Load banners and flags!